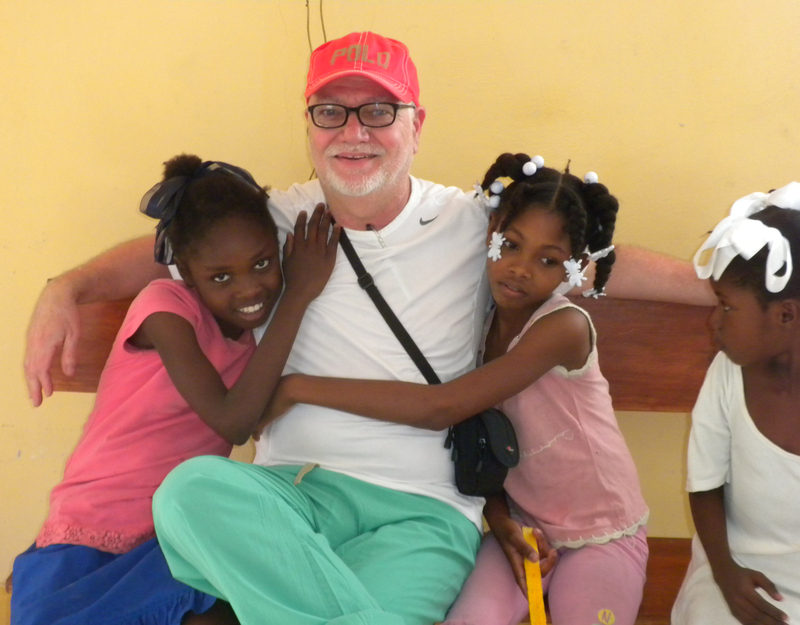 Tom Wilson, assistant vice president, Research Affairs, and senior research administrator, is chronicling his visit to Haiti with a medical team from Rush University Medical Center. Day Three: We spent our second day at the church-based community clinic at the Eglise Khartienne in Carrefour. Pastor Lemet Zepher spoke to our team before the clinic opened to patients, giving the background of how the clinic was founded and is maintained through volunteers in his church community. The clinic is open to the entire Carrefour neighborhood, not just the church members, and is held on the first and second floors of the church building. The pastor explained expansion plans, which include the construction of separate education and clinic buildings. I spent most of the day in the pharmacy cleaning and organizing the pharmaceuticals as well as hunting down specific drugs for the physicians and nurses on our team. We treated 140 patients in our clinic with primary care and physical rehabilitation issues. I was particularly struck by an elderly woman who was receiving rehabilitation treatment of a leg injury. The woman was learning to walk on one of our donated crutches and struggled to walk only a few feet. Her struggle reminded me of the time I spent with my mother at her rehabilitation hospital in New Jersey when she was recovering from orthopedic surgery on the fractured of her femur. I could see my mother’s pain in the face of this woman in Carrefour and was very moved to see the patience and care provided by our physical therapist, Katie Koren. I went for a long walk in the Carrefour neighborhood and was quickly surrounded by neighborhood children, who I nicknamed the Carrefour Gang. Day Four: This was our last day at the Carrefour Clinic, and I spent the day dispensing medications based on the orders from the medical team members. Dave Unger worked to complete the organization of the pharmacy with help from Babs Waldman, Monal Joshi and our team leader Stephanie Wang. We had 120 patients visiting the clinic and were busy with a short break for peanut butter sandwiches and a real treat of Ruffles potato chips. Once all the patients were seen in the clinical the Carrefour Gang arrived. Luckily, we brought gifts for the neighborhood children and distributed candy, toothbrushes, bottles of bubbles, candy treats and Gatorade. Meals at the hostel have been very good, with full breakfast of eggs, ham, juice and coffee. The dinner buffet usually includes vegetables, chicken and rice and beans. This evening we had anniversary cake in honor of Sandra and Dave Unger’s anniversary. Tom Wilson is assistant vice president, Research Affairs, and senior research administrator at Rush University Medical Center. This entry was posted in Haiti Journal, Rush University and tagged Haiti earthquake, humanitarian aid. Bookmark the permalink.